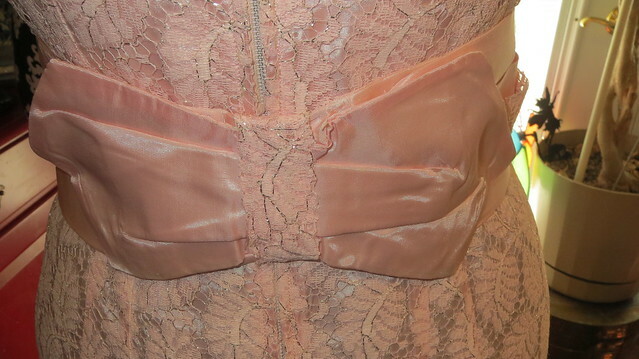 The bow is pinned in the photos so I could get a good picture but in real life it hangs like this. 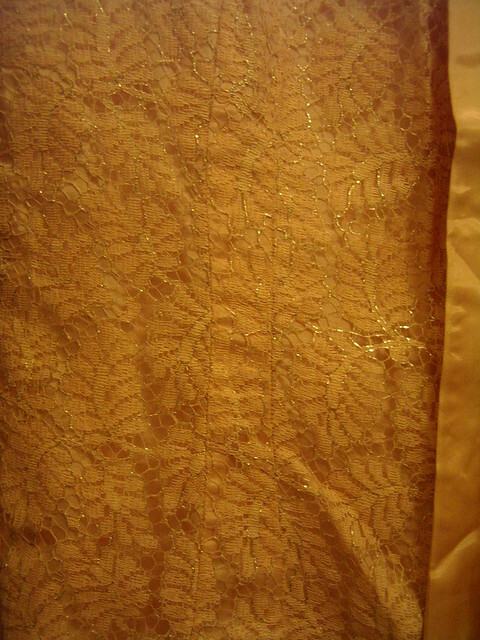 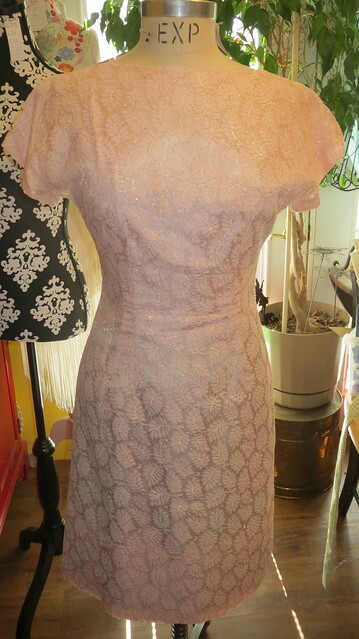 This is a very hard dress to take a photo of.I am not sure if it is because the lace have silver threads that bounce light back at the camera or what. 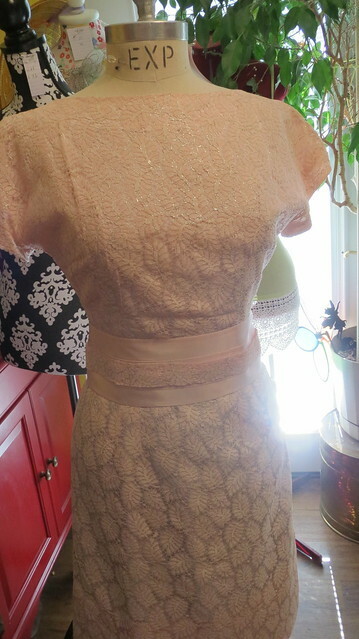 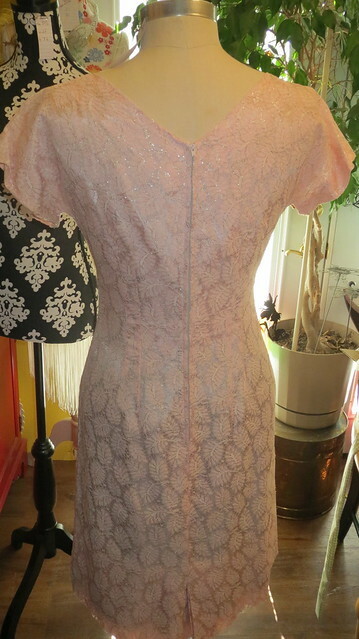 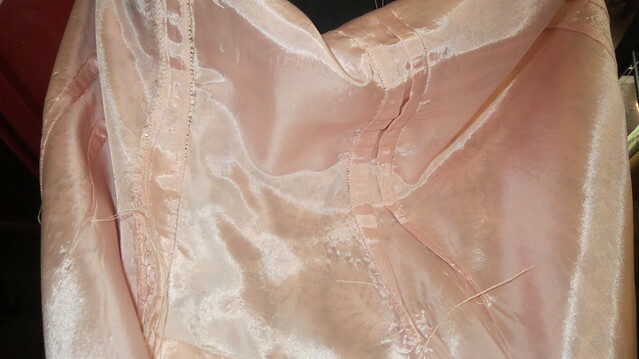 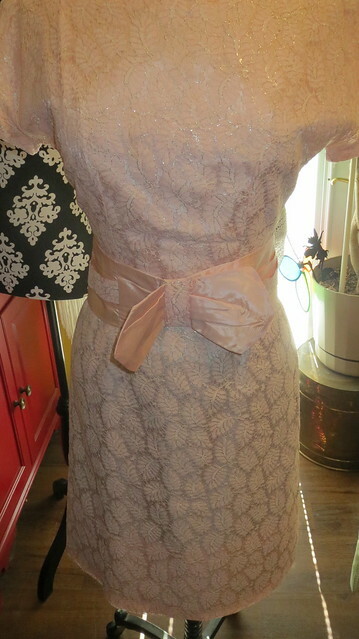 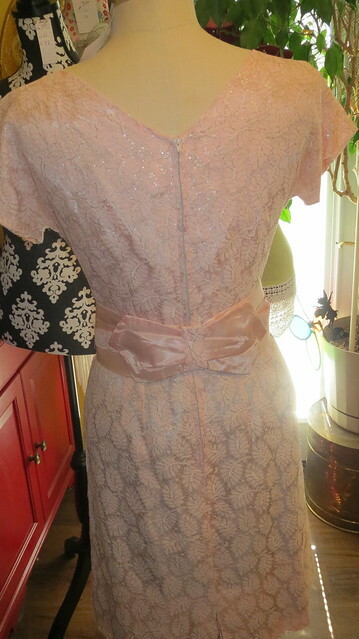 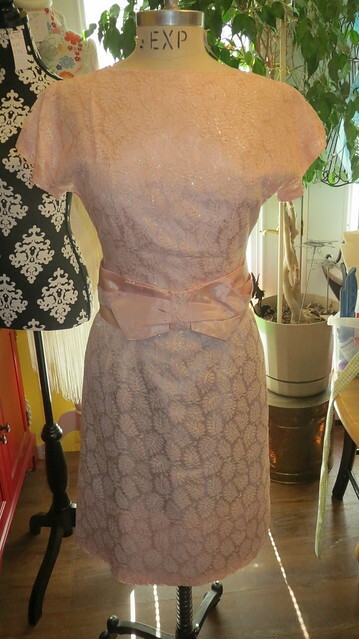 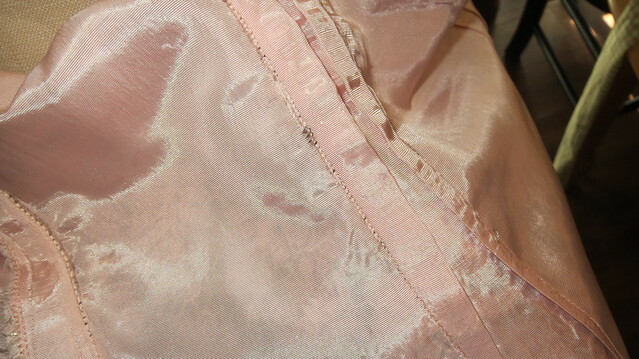 But it is a soft powder pink in color and is fully lined with taffeta. 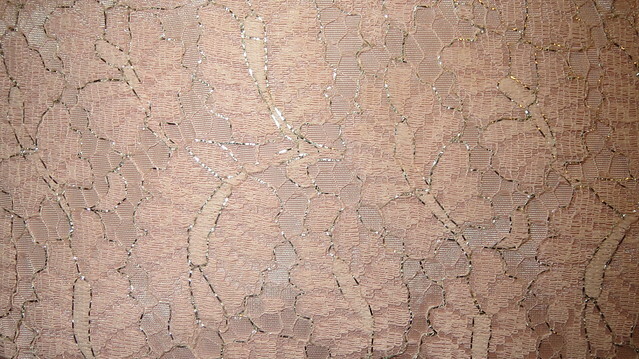 Last detail of this dress it has a slit at the hem. 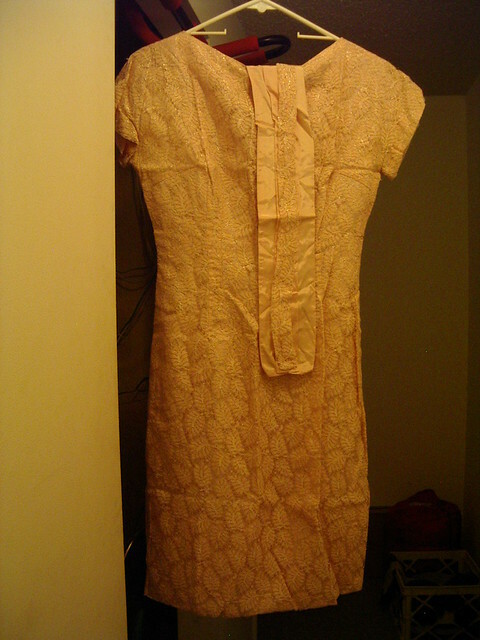 Here are the picture my sisters original saw so they know what dress this is. 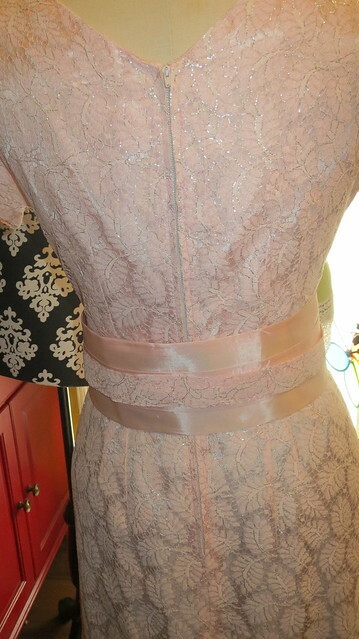 This dress has already been to the dry cleaners. 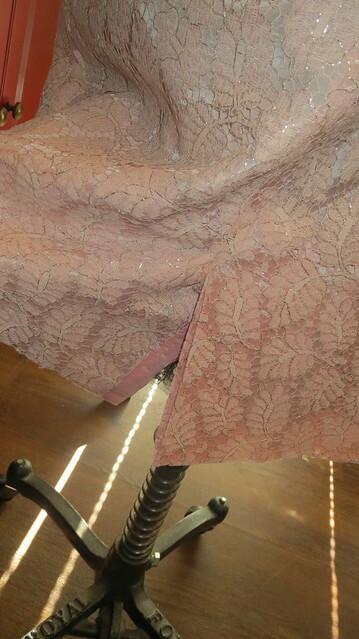 So that old dusty smell is gone that the other retain.